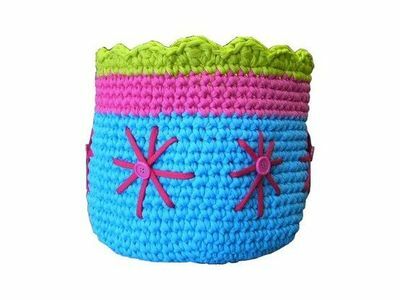 Adding details allows us to customize t-shirt yarn accessories, whether carpets, baskets, crochet handbags and everything you want to create with recycled fabric. 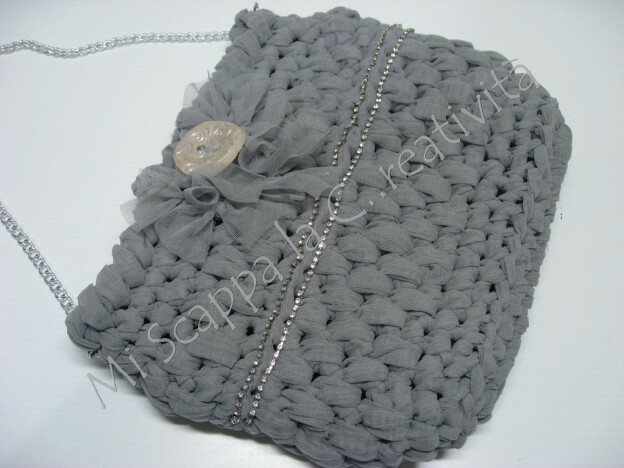 Today you´ll see ideas for decorating accessories made in crochet, braided or with other techniques. 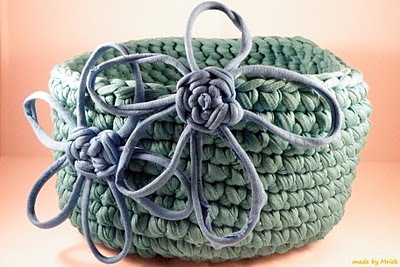 How can you decorate t-shirt yarn accessories? 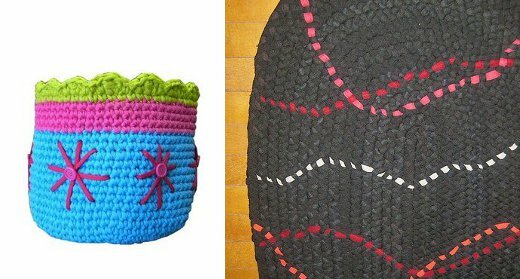 Each one will have put into practice different ways of doing it: adding loom flowers, costume jewelery, bows and other adornments. Sometimes, with a simple detail you can transform an accessorie and personalize it, making it a special piece. 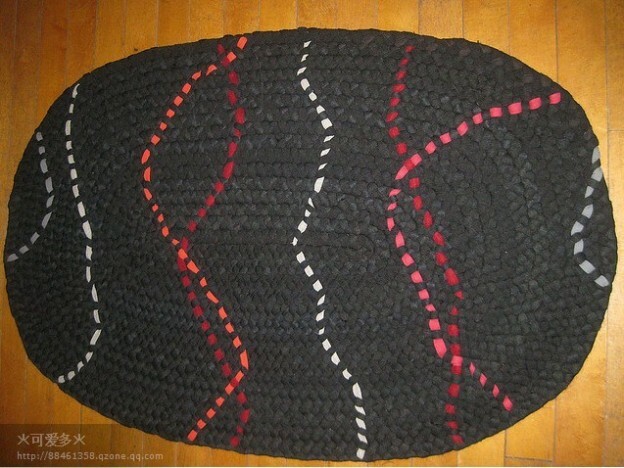 You can decorate carpets with fabric shapes as you have seen in Decoration for t-shirt yarn rugs. 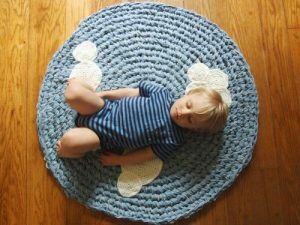 But this idea is simple, easy to do and very creative. 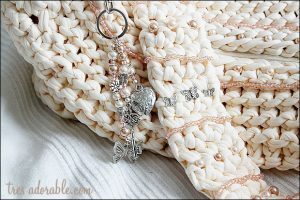 With strips of cloth passed through the strands of a braided carpet, you can break the monotony of the plain weave and achieve another personalized creation. This is not the first time you see decorations with buttons but if you place the buttons on felt flowers the result is very beautiful and you can combine many colors to make decorations for baskets or costume jewelery. 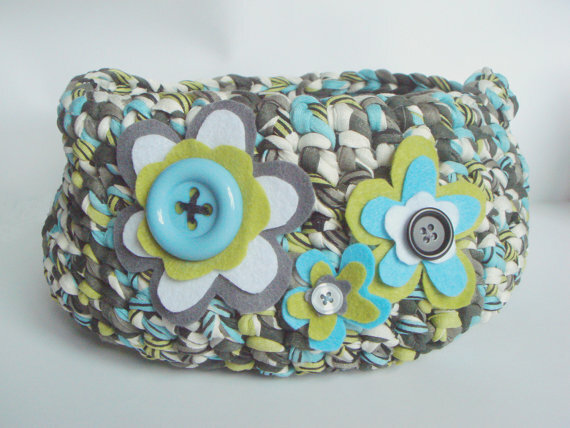 As an example you can see this t-shirt yarn bracelet from etsy decorated with felt flowers and buttons. 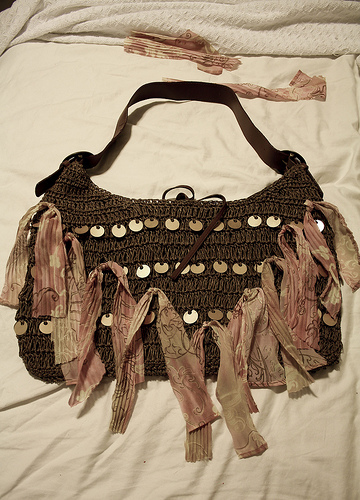 The bags can be decorated in many ways and there are several ideas that you can find in the handbags category. These models are very inspiring: chiffon, jewelery, fringes and whatever your imagination suggests. 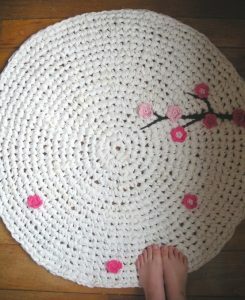 You can decorate plain color crochet carpets with crochet flowers or flowers made with a loom, or using the idea of the garment you saw at the beginning or with decorations made of fabric. 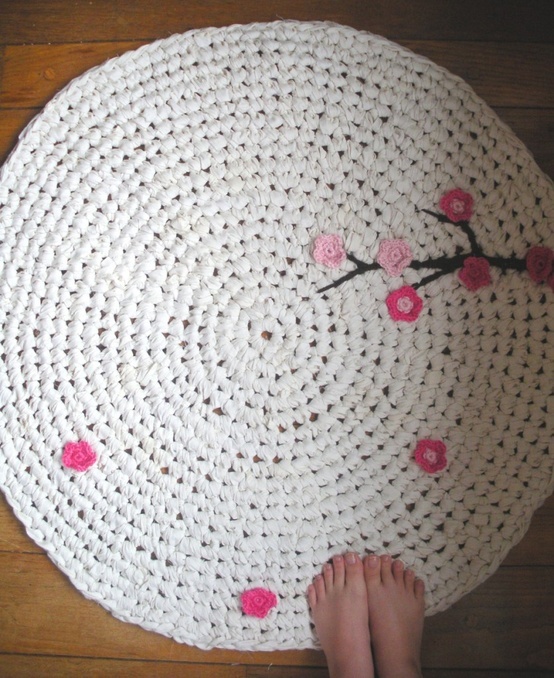 With your own ideas, you can transform a smooth crochet rug in an original, special design to decorate your house with your style.